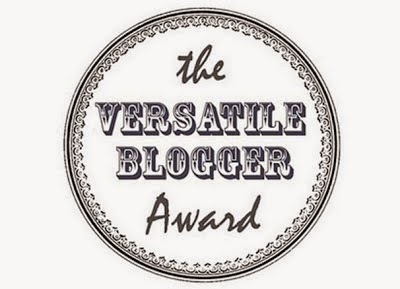 I was nominated for the Versatile Blogger by Lindsey of Linz The Bookworm and Victoria of Extraordinary by Victoria Magtoto. Thank you very much for the nomination dearies! I really think this a good way to round up new bloggers and give them more exposure in the blogging world. Nominate 15 other bloggers that are relatively new to blogging. Let the bloggers know that you've nominated them (either thru email or comments). I was sporty all throughout high school and college; I was in the track, volleyball and swimming team. I am a Born-again Christian living in an Arab country (expat for 3 years and counting). I am half-Filipino/half-Chinese by blood. 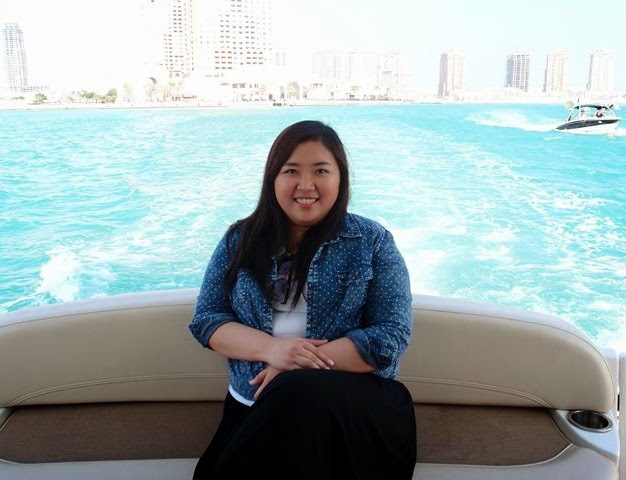 I grew up in the Philippines and am currently in Doha with my husband. I grew up in a household with lots of dogs. My husband and I now care for two fluffballs of our own. I'm the eldest of three siblings, a brother and a sister. My younger brother is taller than me. Whenever we go out to eat, I always end up ordering salmon. I'd hate myself every time for not exploring other options. I don't bite into the cob when I eat corn, I want to remove it piece by piece and eat. I also don't like it shaved, I just really want to pluck it out one by one. Please also check out the nominees I've listed above. Their blogs, like mine, are fairly new and all very interesting in themselves. Hi Em! Enjoy! I had fun exploring new blogs and reading about the bloggers. Kaya pala may sudden connection tayo kahit through the web lang. Haha! Thank you and God bless you too! Enjoy the challenge of the nomination! Hi Gladys! Yes I noticed that too. It's also one of the reasons I nominated you, I could feel a connection. Haha. Anyway, I enjoy reading your blog. You're welcome dear! Have fun! Thank your for the nomination Lou. :) I am already done nominating other bloggers as well..
Good job! I will check out your nominees too. Welcome dear! Enjoy exploring new blogs! Brothers can be quite annoying at times. Haha. No rush, take all the time you need to discover new blogs! Enjoy! Hi! Thanks for nominating me. :) I really do appreciate it. It's nice to meet Filipina bloggers around the world. Hi! I love reading blogs by Filipinas especially the ones from back home. I get kinda homesick sometimes and thats how I cope. Haha. I hope you enjoyed the challenge of the nomination! I love reading your blog, by the way. Sorry that it took so long for me to do mine! I'm addicted to TV shows too! Hi Neeny, doesn't really matter if took you a long time as long as you enjoyed the process. I love watching TV shows but I hate that I have to wait a week before the next ep, I tend to let the season finish before I watch the whole thing. Haha.